WTTW’s 2018 Voters’ Guide to the Cook County Primary is an online resource designed to inform voters about the candidates running for office in the March 20 election. Candidates were given two minutes to tell voters where they stand on the issues, why they feel they are best qualified and what they intend to do if elected or re-elected. The messages were recorded at the WTTW studios at no cost to the candidates. 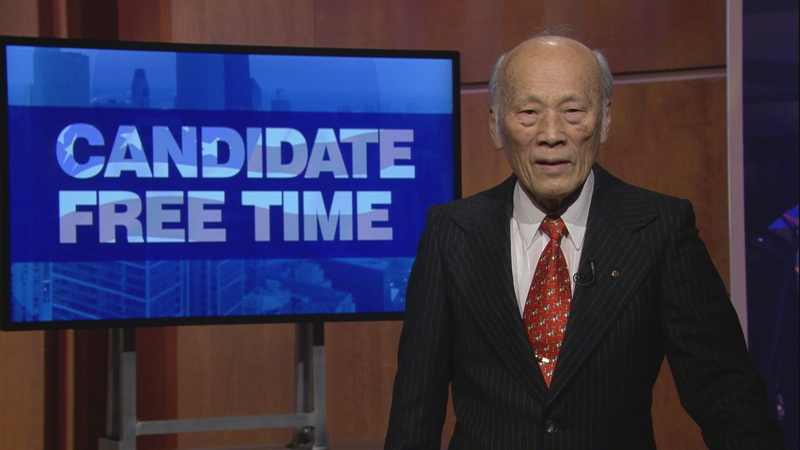 The Voters’ Guide is an online version of Candidate Free Time, pioneered by WTTW in the 1992 race for U.S. Senate. This year’s Candidate Free Time is produced with and underwritten in part by the League of Women Voters of Cook County. The Metropolitan Water Reclamation District (MWRD) is governed by a nine-member board elected at-large with three commissioners elected every two years. On November 8, some candidates will run for six-year terms, while others will run for a term lasting two years. I am Dr. Shundar Lin and I am running for Commissioner of the Metropolitan Water Reclamation District. I am extremely qualified to serve as Commissioner. I hold a Ph. D. in Sanitary Engineering, and have spent a career as a water scientist for the State Water Survey, and I served as a Board member on the Illinois Pollution Control Board. I have been one of the world’s leading water and wastewater scientists for more than 50 years. I have published more than 100 papers on water and wastewater, as well as three books. I live in Chicago with my wife, my daughter and three of my five grandchildren. I am running to give my family and all Cook County residents clean and safe water.